The maximum AC / DC can be detected using ACS712 will reach 30 amp and present current signal can read via analog IO port of Arduino, Product available for this module are 30A, 20A, 5A. for this demonstration we will used the ACS712 30A. Thats without pressing the button to connect the motor to the power (which uses around 300mA). Why on earth does the code from any site never work for this sensor? (I have two of them and both have the same result). Hi. I connected the acs712 module to Arduino like the figure and tried your code, but it shows the module between negative 28 and 30 amps …… I do not know what to do. 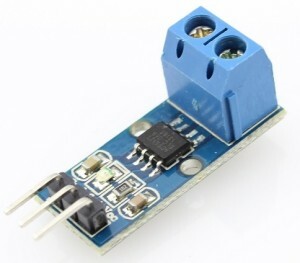 Hi, We are using this sensor for reading ac current but the sensor will read incorrectly and when the sensors are not connected to the arduino mega,there is still a reading output in the lcd.Why is this happening?